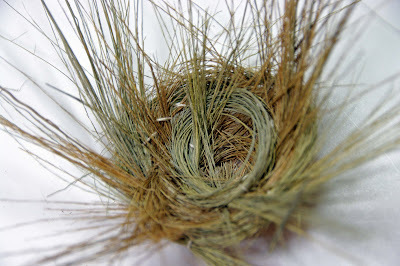 Getting in the spring mood, I thought I would share an easy tutorial on building a beautiful nest of your own. 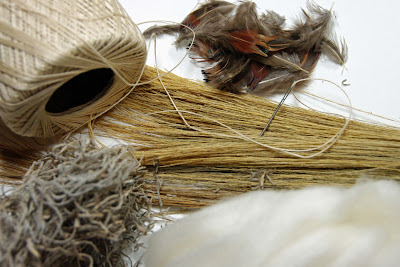 Needed ingredients: Crochet/Floss Needle Feathers Dried Grass (I found mine in the dried section of the craft store) Wool Dried Spanish Moss Start with a few strands of grass and make a circle. 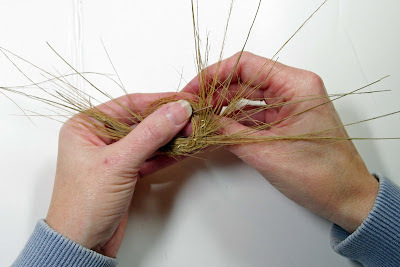 Make several grass circles. 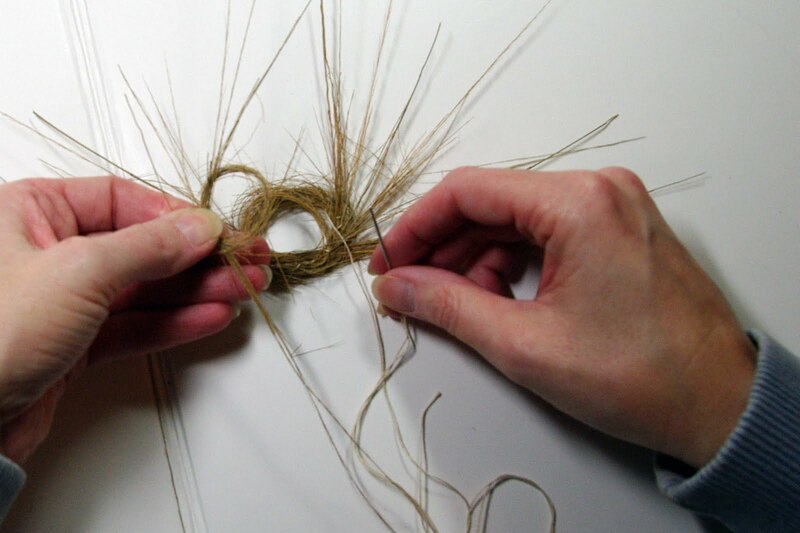 Then take your needle and floss and start "stitching" the grass circles together. Do not pull too tightly. 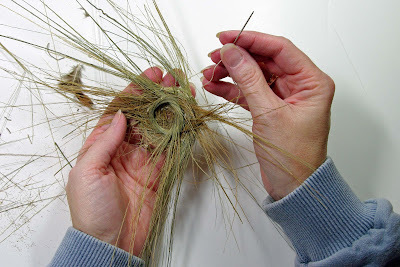 Continue layering the grass circles so the grass ends come out from all sides of the nest. 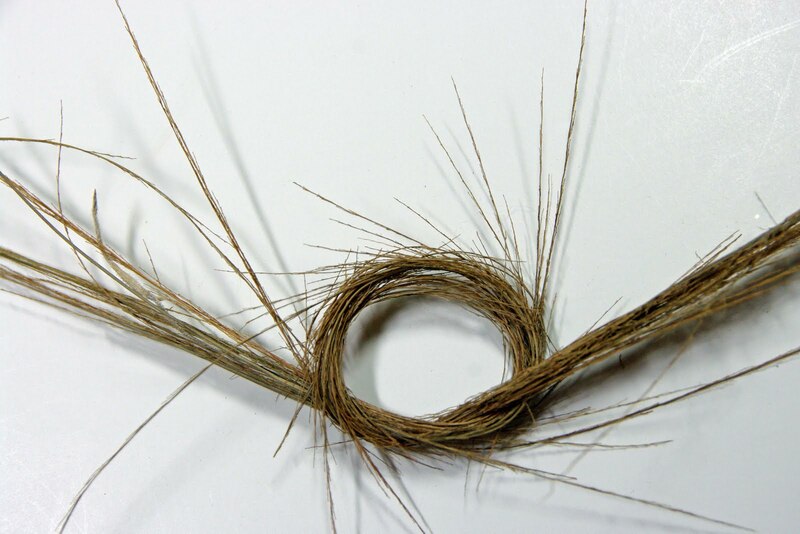 Continue securing it with floss and shape into a nest. 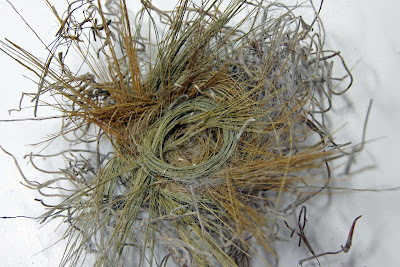 Add spanish moss and wool and secure in nest with glue. I used my trusty glue gun. 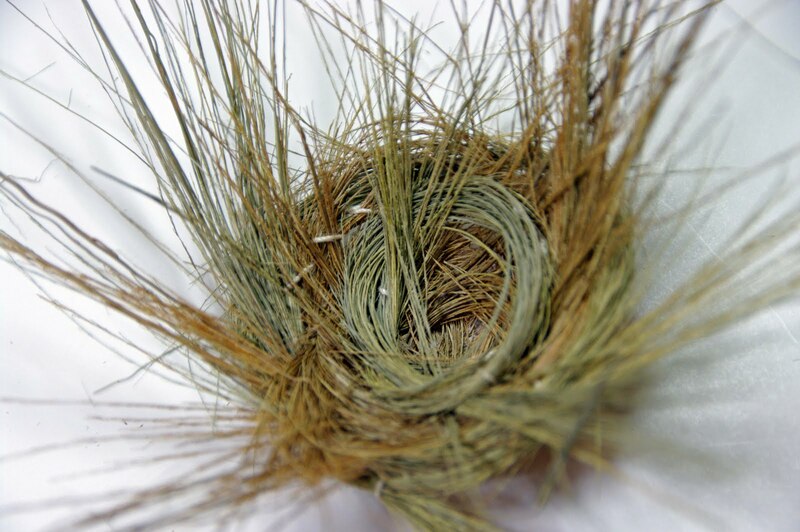 If some of the grass hangs too far outside the nest, just pinch it off. Now the fun part, adding your small treasures to your nest. 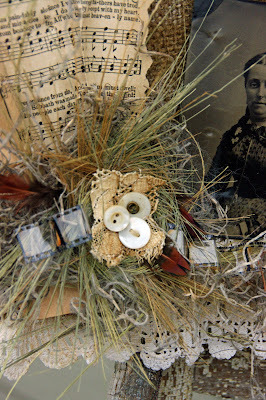 I used vintage buttons and lace, feathers and Tim Holtz Film Strips, but add your own small treasures.. Let your imagination fly! What a great tutorial! 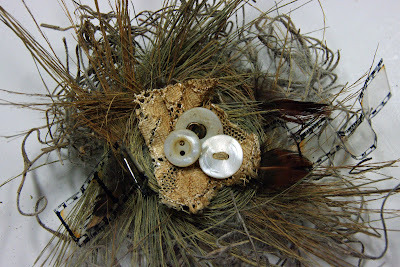 Love the messiness of the nest unlike the perfect ones that can be purchased at the craft store. This one looks much more authentic! Love it, Sheila. I hope when I get home, the trees will be bare enough ( as in no snow!). Natural is truly the most beautiful. Love this and great tutorial! 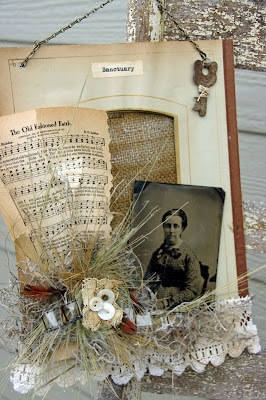 This was a fabulous tutorial!! I love the nest and I LOVE your finished art project...it's just gorgeous!! Love the nest- I'm thinking I'd like to combine it with some yarn- and the collage you added the nest to is darling. Just so very beautiful combining all of these elements!